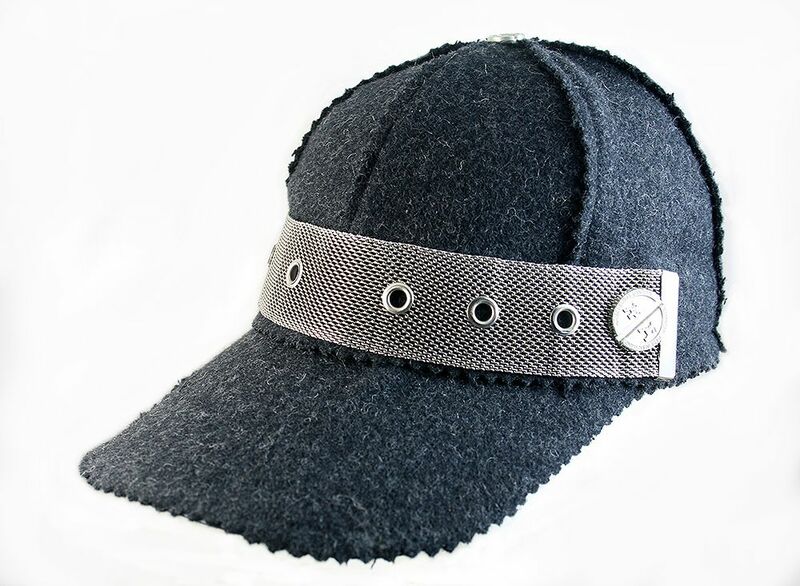 Grey wool baseball cap with metal components, also available in red, wine and black. Cotton base, covered with dark grey wool fabric with ragged edges. Has metal logo buttons and metal mesh strap. Metal Hermes, metal components. One size. Adjustable strap at the back.